Mass Beta Minions (MBM) is a very simple strategy - you just drop 4 or 5 camps of Beta Minions on the base and let them do their thing. Air defenses typically can't stop them from pulling out a solid one star and at least a low percentage two star win. Although the attack strategy is a bit spammy, there are some basic deployment strategies you need to consider in order for it to be successful. First and foremost: avoid the AirBombs. AirBombs are Weapons of Mass Beta Minion Destruction. Beta Minions like to attack in groups and the AirBombs are a splash defense. That means they can take out a whole cluster of Beta Minions. This is especially devastating against BH7 bases where the Roaster has an overlapping target area with the AirBombs (which they often do). You'll also want to minimize exposure to the Roaster, which is also a splash damage defense. A level 7 Roaster will turn your horde to ashes in just a blast or two. The second rule of deployment - deploy in groups. Beta Minions work best when their numbers can overwhelm a defense. Sometimes, you'll want to deploy all in a line, other times with just one or two fingers, and still others it may make sense to deploy in groups of 6 or 8. It’s smart money to snipe a few buildings that are outside the range of defenses, up your main attack should consist of clustered groups. Try to hold back 3 or so, just for a little cleanup at the end of your attack. Know thy base...er, thy enemy's base! Mass Beta Minions can be made to work against nearly any base design. It works particularly well against narrow bases and bases where the air defenses are easily accessed (i.e., exposed). It works well on compact bases - especially those with the BH as one of the outer ring buildings - and even most diamond bases. The strat especially shines against anti-barb base designs (those 4 walls around the Builder Hall are a non-issue) and if your opponent has either the Roaster or the AirBombs down...it’s like dropping mice. In a cheese factory without any cats. Base analysis is key to successful attacks and there's really no reason to not do it considering how much time you have before the attack clock starts. Having the ability to choose an army composition after seeing the base you're attacking is awesome for your odds of winning. I look not only at layout but also the level of the defenses; a base with a poor design AND low level air defenses is absolutely aces for an air attack. Look at the location of the air targeting defenses - AirBombs, Roaster, Hidden Tesla, Archer Towers, FireCrackers, and even the Guard Post (Archers shoot at air troops). Consider the positioning of high HP structures like the resource storages, Star Laboratory, and Clock Tower. It's not at all uncommon to find AirBombs and Roaster right next to each other at one end of the base but nothing to really protect the other end of the base. Of course, defending against the MBM attack is the other side of this coin. 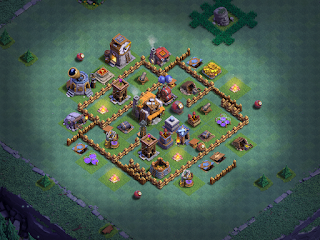 When building your base, try to separate the coverage areas of the Roaster and AirBombs; place high HP structures in front of air targeting point defenses so the Beta Minions are busy attacking them while defenses behind them take down the Beta minions; place FireCrackers toward the center of the base with their effective range covering toward the outer perimeter (especially covering high HP structures); set mines and mega-mine to air and position them right in the path of enemy troops. All of the things you DON'T want to see when deciding whether or not to use this attack are things you DO want to put in your own base design. When attacking a diamond base design with MBM, be sure to feel out the corner where you deploy for any mines set to air. The deployment corner is usually the one opposite the AirBombs (this is generally the case with all MBM deployments). If AirBombs are on a side rather than a point of the diamond, attack from the opposite side instead. Box bases almost ALWAYS have the AirBombs at one end of the rectangle; you just deploy at the opposite end. If the AirBombs are in the middle, consider opening two fronts and/or coming in from one or both opposite angles. Since we’ve had BH7 a while now, I thought I’d freshen up the replays with a new video as well. The strat is still very viable at BH7, even up into the 4000s, although by the time you get that high, it’s time to consider a camp of Drop Ships to act as tanks and extend the life of your horde.